There may be no place more mystical in Canada than Newfoundland, our easternmost province, and the experience of cycling across it is unmatched. It’s a place where whales swim and icebergs float, where folklore enchants and history dazzles, and it’s where you can spend seven days bicycling the province’s remarkable Viking Trail. Our ride along the Trail, so called because the route leads to the first European settlement in North America — predating Christopher Columbus’s arrival by 500 years — begins in Deer Lake, on the island’s west side. You'll head north on the Trail to Gros Morne National Park, a UNESCO World Heritage site, and experience Canadian nature at its best. Fjords, mountains, ocean cliffs, even moose, Gros Morne has it all. Beyond cycling, you'll also hike the park and kayak in Bonne Bay, and while each has its challenging moments, the sights are absolutely worth the sweat. 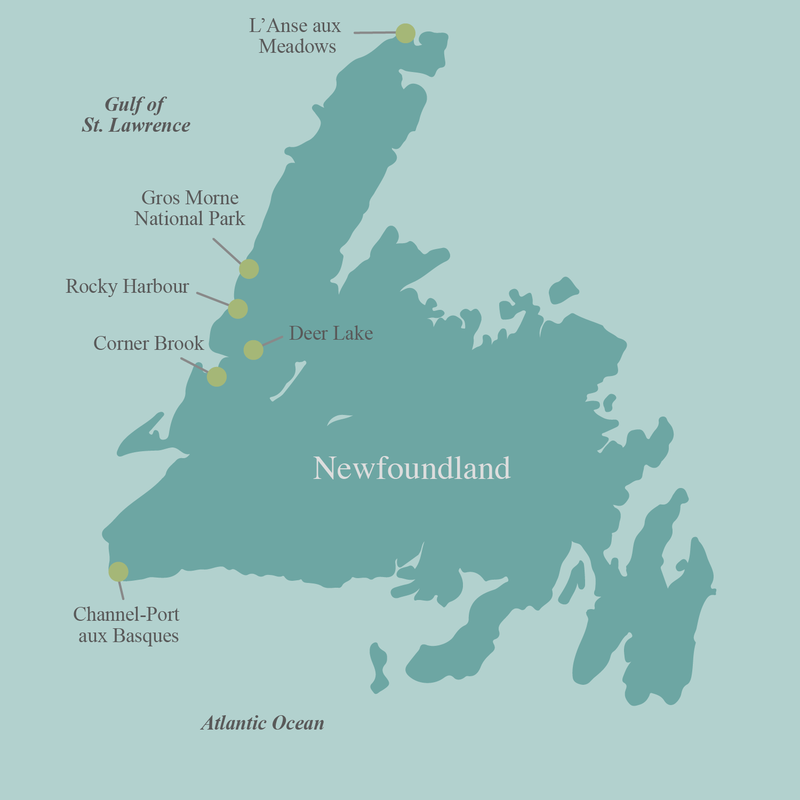 As we make our way to the Viking Village in L’Anse Aux Meadows, home of the first Norse settlement and our second UNESCO World Heritage site of the week, you'll enjoy some relaxed cycling through the coastal towns of Rocky Harbour, Portland Creek and Plum Point. Rides range from 40 to 100 kilometres, and all are completed with van support. During our final day, as we drive back to Deer Lake, there is the opportunity to make stops at points missed along the way for photos and souvenirs. Our week of cycling will help you understand why they call Newfoundland The Rock, and we’re sure you'll come to love this landscape as much as we do. Read more about this seven-day itinerary here including 2019 scheduled departures and prices.